Today was the first day of Dashboard week. 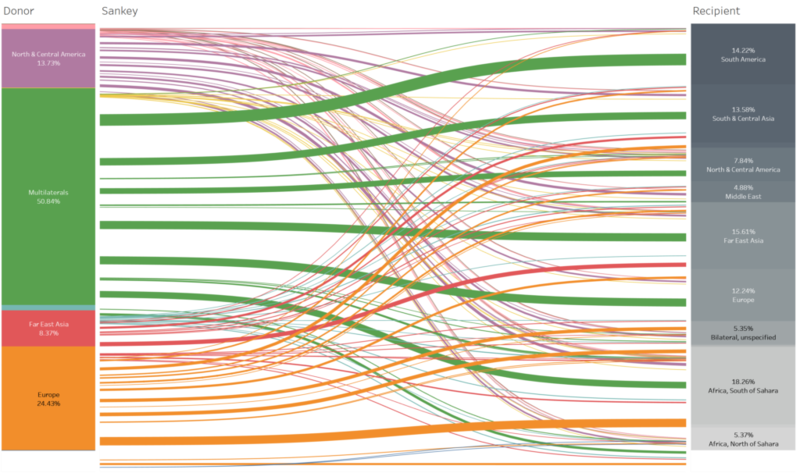 We had the pleasure of undertaking Cole’s Storytelling With Data challenge on AidData. It is the first time that a dataset was actually provided! How exciting! Cole treated us by dropping in to our headquarters in Pyrmont and did a short Q&A with the team. Hearing her speak in person made her points about successfully portraying a story resonate deeper than reading it online. The added challenge here is that we had to complete this challenge within a day. For the rest of the week, I will walk you through the process of designing the dashboard. Putting the Sankey Chart together provided a bit of a challenge because I was following on with a video (shoutout to SuperDataScience on youtube) and during the flurry of applying an array of table calculations, I didn’t order things correctly and ended up with straight lines which made no sense. I knew something had to be wrong. As any normal person would do in frustration, I started again. And by started again, I literally mean I opened a new 2019.1 window and started fresh. Second time lucky it seems. I did want to know where I went wrong so when I had a bit more time knowing that my Sankey had turned out correctly, I was able to identify the root of all struggles. Then came the ‘so what?’ moment. What does this Sankey even signify? The thing I like about it is it’s ability to show a flow of resources from one entity to another. Of course it requires the end user to really sit and think about what is represented, but when you figure it out, it’s actually great. Believe me. 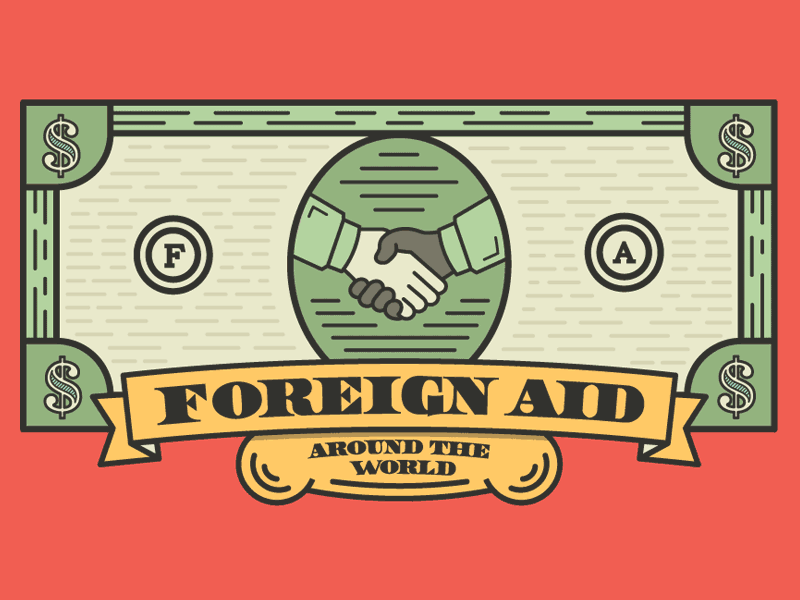 I started by looking at Multilateral Donors and thinking that it skews the data quite a fair bit. That is where the filter comes in to play. While I was clicking around, I started to realise that some regions really tend to donate to countries within the same region. 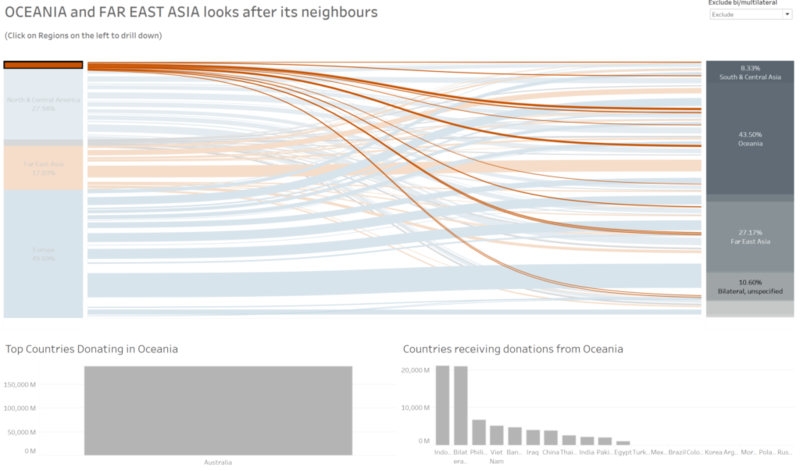 Oceania’s and Far East Asia’s donation efforts seem to be within their respective regions. The story I wanted to portray stemmed off of this idea and I really wanted to showcase this. To get this story across, I colour coded Oceania and Far East Asia with a bold orange colour which stands out from the muted blues and greys of the other regions. 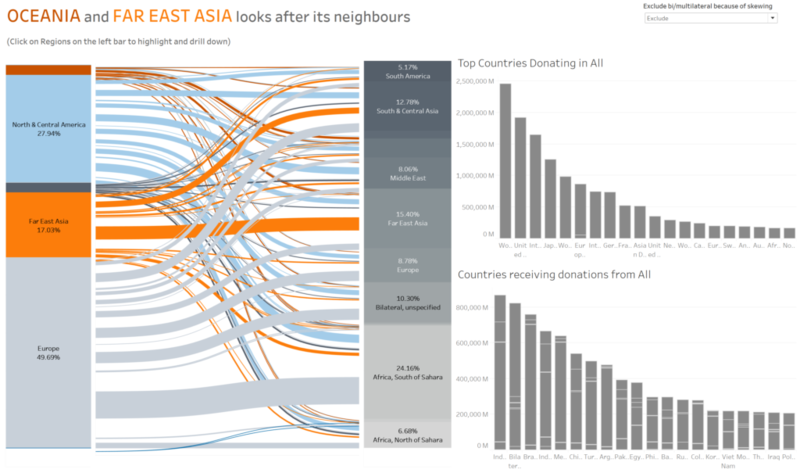 To drill down further, I have included bar charts which highlight the donating countries and the recipient countries. This adds in another level of granularity, that of which being under region. We see here that the 2 top donors in the 2 regions singled above tend to be island nations. Perhaps these donations are centred around a strategic trade route operation. Perhaps the waterways between these countries are particularly important for the island nations. This dashboard of course raises more questions, just as it should.